Fratelli radice has been a sinonimous of quality furnishings for more than a century: kitchens, sitting sets, dining rooms, bedrooms, bath rooms, doors and infinite solutions from more classic and refined styles to more contemporary lines. 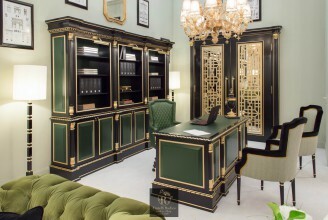 Rigorously tailor made creations to exalt customer’s personality, his character, his wish to emerge…Passion, devotion, perfection are the values that guide our wise artisan hands in the construction of luxury furniture. 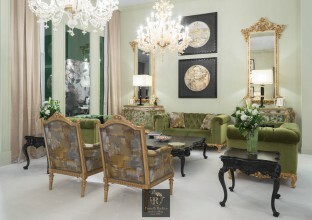 That real luxury which comes only from extreme care in any working step: custom made design, first quality raw materials, unexceptionable handmade manufactures, artistic decorations and class finishings. 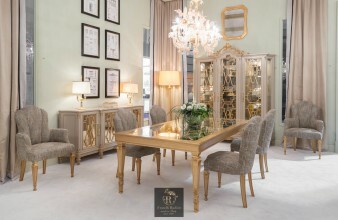 It is not only a production of furniture, but a creation of unique and inimitable pieces , which may be a refined business card for your guests.  Fratelli Radice has a long and glorious past, made of growth and innovation. Future is full of initiatives, news and dates not to be lost to know the factory and his production closer. 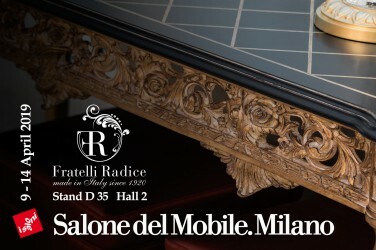 Find out all Fratelli Radice’s novelties in news section.